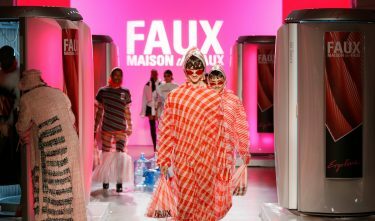 MAISON the FAUX initiates an evolved world, where everyone can be themselves, abandoning beauty ideals and trends. They capture the spirit of the times and inspire with their professional ‘can do’ attitude. 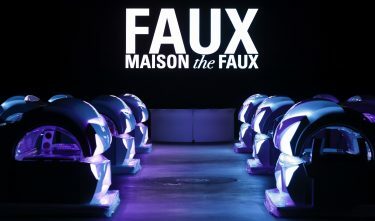 In MAISON the FAUX, the jury sees an example for the new generation of Dutch (fashion) designers. It is their drive, professionalism and exuberant attitude that is so infectious. 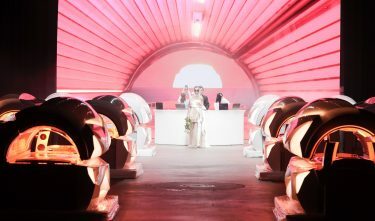 This collective of designers is developing a highly distinctive signature, creating space for young designers and innovating design and production. The label also represents a fresh perspective on masculinity and femininity. And, after all, the clothing itself is eminently wearable and beautifully made. 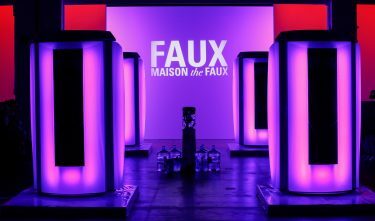 — MAISON the FAUX is developing a highly distinctive signature, creates space for young designers and innovates design and production.